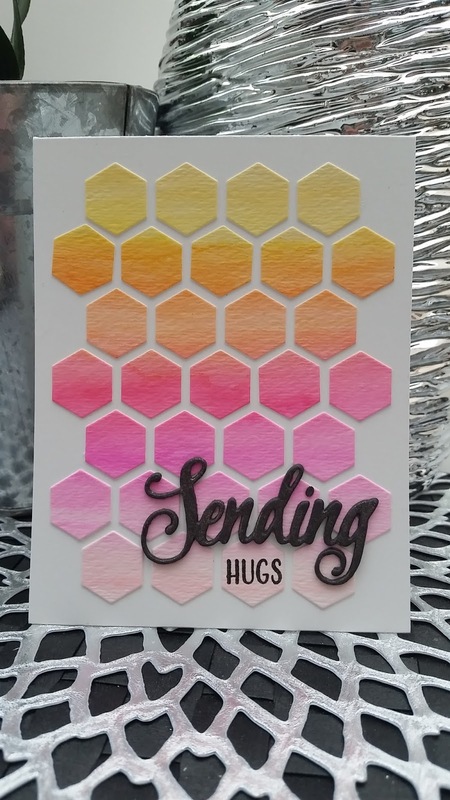 I grabbed my Hexagon Cover plate and cut the watercoloured piece. I then added some Tombo Mono Aqua glue to the back of the hexagons and carefully pushed them down on to my Recollections 110lb white card base. I cut out a Make it Market Don't Forget to Write die cut using Smokey Shadow and sandwiched four cuts together to make it more substantial. A little more Tombo Mono Aqua glue and some Wink of Stella clear glitter brush pen on the die cut and that was almost it. Can you see some of the shine above? If not, enlarge the picture by clicking on it. 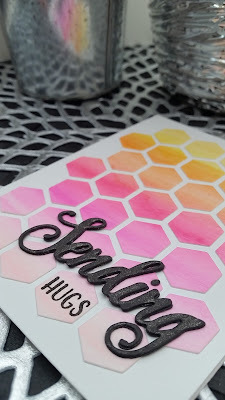 I added a stamped 'hugs' from Make it Market Don't Forget to Write with some of my faithful Versafine Black Onyx ink and my MISTI stamping tool. I had a lot of fun with this technique so thank you to Dawn for inspiring us all! Fabulous Cara! You brought out the old and made it look fresh and new. And the shine is a nice touch. Sweet work, Cara! Love the colour gradient and your perfect finishing touches. Pretty color selection! The black sentiment goes perfectly! Very pretty with the hexagon cover plate, and pretty colors too! 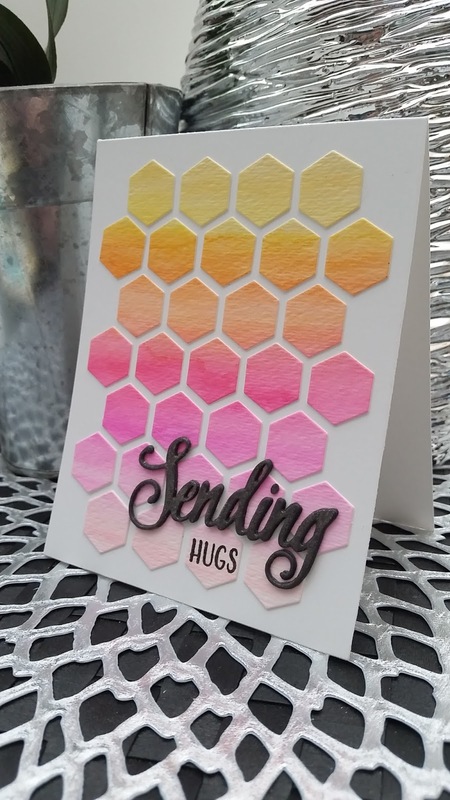 Love the subtle shine of your sending die cut!